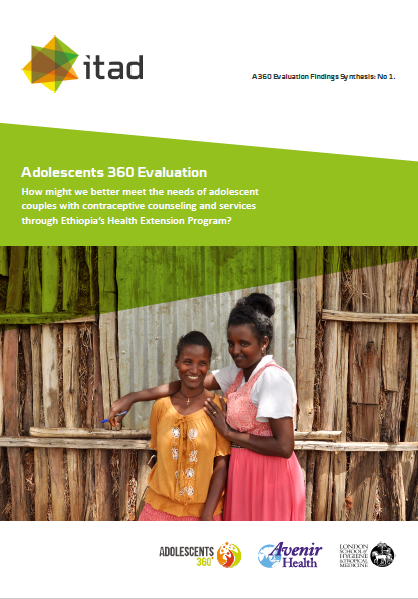 Adolescents 360 Evaluation: How might we better meet the needs of adolescent couples with contraceptive counselling and services through Ethiopia’s Health Extension Program? How might we better meet the needs of adolescent couples with contraceptive counselling and services through Ethiopia’s Health Extension Program? This case study presents these findings and implications to guide PSI’s human-centred design (HCD) work with IDEO.org, with the HEW at the centre. Find out more about Smart Start on the A360 website.